These arborvitae were planted about 25 years ago. The plants were almost dead when I took the pictures. When the plants were dug from the nursery, plastic twine was used to hold the burlap around the soil ball. 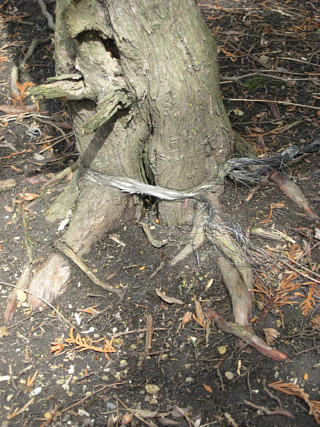 The twine was also tied around the trunk to keep the trunk from wobbling around in the soil ball. 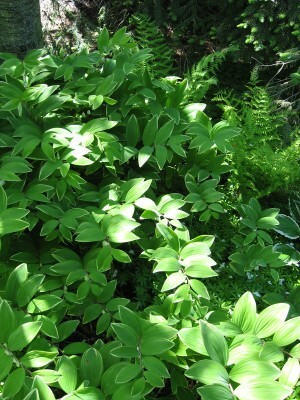 It was not removed at the time of planting and has slowly strangled the plants. Note that the plastic twine looks almost intact after all these years. The Ents would not be happy.